This year’s cohort of volunteers is the first to receive a One Awards Level Three Foundation Year in Global Volunteering and Citizenship for completing the Project Trust voluntary programme. 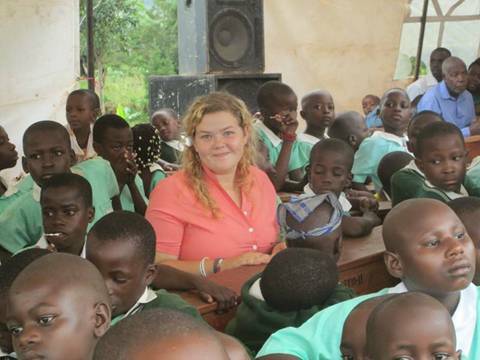 Bethany Crook (pictured below), who is volunteering as a primary teacher in Uganda, has been accepted to study International Relations and Global Development at Aberdeen University. Bethany has been applying to universities whilst she is overseas and used her One Awards accredited programme and experiences as a volunteer as the basis for her application forms. Before she went to Uganda to volunteer with Project Trust, Bethany wasn’t sure what she wanted to study at university, or what career path she wanted to follow. But she says her year volunteering inspired her to apply for the International Relations and Global Development degree.